Tom is responsible for planning and carrying out Connecticut Audubon Society’s communications, including website, email, traditional media, and social media. He joined Connecticut Audubon Society in 2011. Tom is the author of This Fine Piece of Water: An Environmental History of Long Island Sound (Yale University Press) and he spent almost two decades as a newspaper reporter in New York, covering the environment, politics and other issues. He was the director of communications and special projects, and acting executive director, for Westchester Land Trust, in Bedford Hills, N.Y., from 2000 through 2010, a period during which the organization tripled in size. Miley oversees all of the organization’s conservation work, including our public advocacy program in Hartford. He is a member of the Long Island Sound Study’s Citizens Advisory Committee, the Conservation Advisory Council to Connecticut’s Department of Energy and Environmental Protection, and many other local and statewide boards and committees. 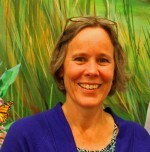 Miley was a founding director of the Connecticut Ornithological Association, and has published numerous articles and speaks statewide on topics relating to ornithology and the environment. He is a long-time expedition leader for Connecticut Audubon Society’s EcoTravel program, and has led trips throughout the Americas, Australia, Antarctica, and Africa. Miley has a BS degree in Wildlife Management from the University of Connecticut and a MS degree in biology from the University of Bridgeport. He and his wife, Cathy, reside in Fairfield. Patrick is a leading authority on the conservation of the state’s birds and the habitats that support them. He started his career by conducting bird surveys for the Connecticut Audubon Society, and is currently director of bird conservation for Audubon Connecticut, the state office of the National Audubon Society. Patrick is a graduate of Trinity College in Hartford and a resident of Meriden. He is a past president of the Connecticut Ornithological Association (COA) and was the 2007 recipient of its Mabel Osgood Wright Award and 2017 President’s Award. 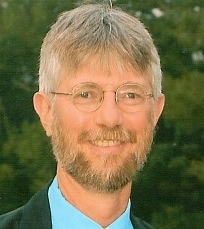 He has written several articles on bird conservation and identification for the COA’s quarterly journal, The Connecticut Warbler. He has also been a regular contributor to Connecticut Audubon’s annual Connecticut State of the Birds report. Patrick played a key role in the conservation of more than 2,000 acres of critical bird habitats in Connecticut and more than 4,000 acres of key habitats in the Connecticut River watershed for the Silvio O. Conte National Wildlife Refuge. Other important projects he has worked on include the protection of the former Griswold Airport property in Madison and the Preserve in Old Saybrook; additions to the Salt Meadow Unit of the Stewart B. McKinney National Wildlife Refuge and Menunketesuck Island in Westbrook; additions to the Barn Island Wildlife Management Area in Stonington; and the protection of the Guilford Sluice property and Salt Meadows Park in Guilford. Michelle collaborates with CAS staff, local schools and school systems to develop and promote our new, innovative, outdoor science education program for K-12 students called Science in Nature. Her goal is for our Science in Nature program to reach the majority of K-12 students, particularly from Title I schools, in each of our center’s geographical areas. She joined the organization in early 2012. 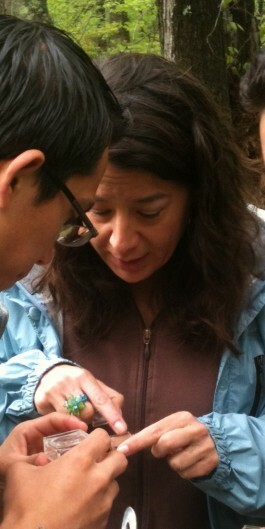 Michelle was an avian field biologist for 15 years before dedicating her career to environmental education eight years ago. Since that time, she has taught middle school science in New Mexico and spent five years as the education manager and director of education for the National Audubon Society’s Mitchell Lake Audubon Center in San Antonio, TX. 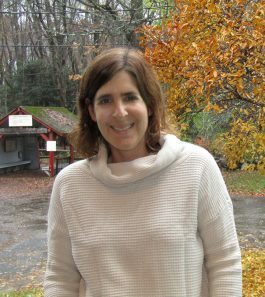 Michelle was awarded the Tamar Chotzen Educator of the Year award from the National Audubon Society in 2010. She earned her B.S. in Wildlife Biology from the University of Massachusetts, Amherst. and her M.S. in Biology from New Mexico State University where she was a National Science Foundation GK12 Fellow. She lives in Bridgeport. Shari Greenblatt is a seasoned non-profit professional with over 20 years of experience in fundraising and project management. She started her career at the Business and Professional Women’s Foundation followed by two years as a Program Associate at Bass and Howes, a leading consulting firm that worked with various non-profit organizations. Shari spent the last 20 years in the Special Projects of the Natural Resources Defense Council (NRDC), one of the country’s leading international environmental organizations. While at NRDC, she produced large-scale fundraising galas and cultivation events, created and managed a junior committee, oversaw donor trips and cause-related marketing campaigns, implemented NRDC’s workplace giving campaign and worked closely with trustees and donors. She also served as President of the Board for Earthshare NY. She received her BA from University of Wisconsin-Madison and her MPH from Hunter College. 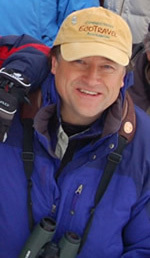 Andy has been the director of EcoTravel for Connecticut Audubon Society since 1996. He graduated as an honor student in biology from Hartwick College and worked at the college’s biological research station in the Bahamas studying avian ecology. 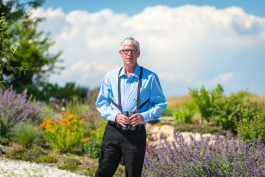 Andy is the original concept creator and scientific consultant for a cable television series on bird watching called All Bird TV that aired on Discovery’s Animal Planet. He is the original concept creator of the award winning Connecticut River Eagle Festival (during its time the largest birding festival in the world). Andy has conducted bird surveys for the U.S. Fish and Wildlife Service and been participating as a CBC captain for nearly 30 years. He has been a consultant to the Bahamas Ministry of Tourism concerning development of birding tourism in its more remote islands. Andy leads trips to Canada, Texas, South Florida, Brazil, Costa Rica, Cuba, and many other destinations. Andy is a licensed USCG 100-Ton Master boat captain and lives in Essex, Connecticut, with Marilou, his wife, and Sam, their son. He is known for his attentiveness to traveler’s needs, fine birding skills, and infectious sense of humor. Sarah is responsible for the oversight and programming at our two facilities in northeastern Connecticut, the Lois Orswell Grassland Bird Conservation Center at Pomfret and Trail Wood: The Edwin Way Teale Memorial Sanctuary in Hampton. She has served in this position since 2003. From 1994 to 2001, she was our first resident naturalist in Pomfret, developing programming for the Bafflin Sanctuary prior to the Center at Pomfret’s inception. Sarah earned her B.S. in Environmental Studies from Trinity College, spent several years conducting graduate research at the University of Connecticut and was an environmental consultant for 15 years, specializing in soil and water issues. A member of numerous environmental organizations, she currently serves on the board of directors for the Wyndham Land Trust. Heather has a B.S. in Environmental Science and an M.S. in Environmental Education. She worked as an intern for Rhode Island Audubon before moving to Connecticut to work for several years as an environmental program educator and field trip coordinator for Common Ground Environmental Education Center in New Haven. Heather spent the last two years as a pre-k teacher at a Reggio Emilia inspired early learning center. Additionally, Heather worked for two summers as an education coordinator for the Yale Peabody Museum. Her responsibilities at the Roger Tory Peterson Estuary Center include teaching, curriculum development, and grants administration. Eleanor Robinson has devoted decades to research, education and communication in the field of environmental science. She graduated from the University of Washington, Seattle, and received her graduate degree in Science Journalism and (recently) a graduate certification in Nonprofit Management. She began her ecological work in childhood as a volunteer and eventually as bird-bander for the Theodore Roosevelt Audubon Center on Long Island. She then went on to work as a summer bird-bander for the Great Gull Island Project followed by banding work and research positions for the Manomet Center for Conservation Sciences. She was awarded a scholarship to attend Audubon Camp in coastal Maine. biologist on National Marine Fisheries vessels studying the winter dispersal of seabirds in the North Atlantic. She moved from the field to the classroom and worked as a high school and middle school science teacher, as well as aboard the R/V Schooner Westward as a Seabird Biology Instructor for Sea Semester in the North Atlantic waters. She was a teacher naturalist for the Denison Pequotsepos Nature Center and the Science Center of Eastern CT.
Massachusetts Audubon Society. Robinson’s research has been published on the breeding habits of Ospreys, the winter distribution of North Atlantic Gannets and the rare occurrence of the Zigzag Heron in the Peruvian Amazon. While serving on the executive committee of the Associates Council of the Yale Peabody Museum she also volunteered on the start up team of the Roger Tory Peterson Estuary Center before being hired as its director in September of 2017. Andy has been working for Connecticut Audubon Society since 1994. He manages the 700-acre Bafflin Sanctuary in Pomfret and the 168-acre Trail Wood Sanctuary in Hampton. He focuses a lot of effort on early succession, field management, trail work, and invasive plant management. 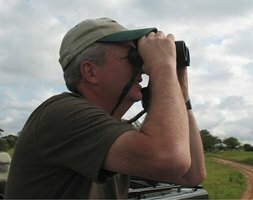 He leads various bird walks, private bird surveys and birding tours, bird banding studies, saw-whet owl banding, and environmental education programs. He has a bachelors degree in environmental sciences with an emphasis on conservation law enforcement from Unity College in Maine. He is on the Board of Directors of the Wyndham Land Trust. He lives in Pomfret.